With summer in full swing it’s time to get those legs out! When it comes to body scrubs I think Soap and Glory are at the top of their game. 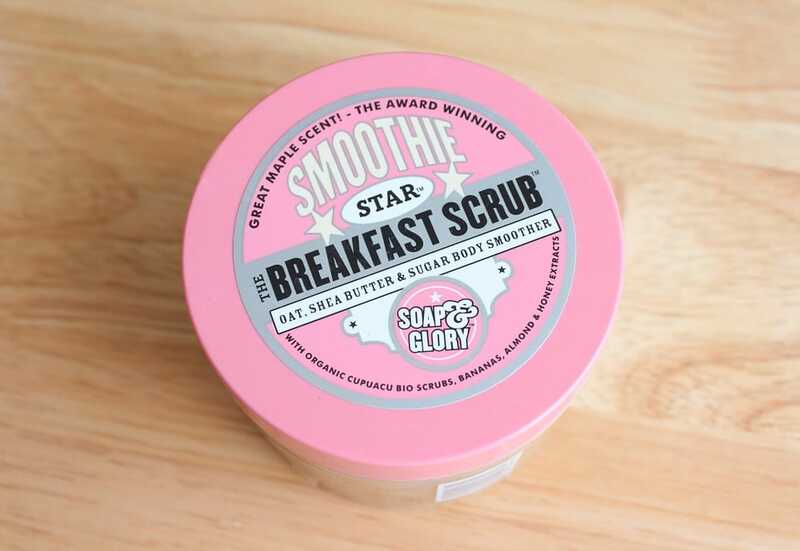 I’ve always been a fan of the Soap and Glory Flake Away body scrub but after watching numerous beauty hauls on YouTube I just had to try the Soap and Glory Breakfast Scrub! The Soap and Glory Breakfast Scrub comes in a clear plastic tub with trademark Soap and Glory pink lid. Aside from the delightful fragrance that makes you feel like you’re showering in some sort of pancake house, the scrub itself is fantastic. 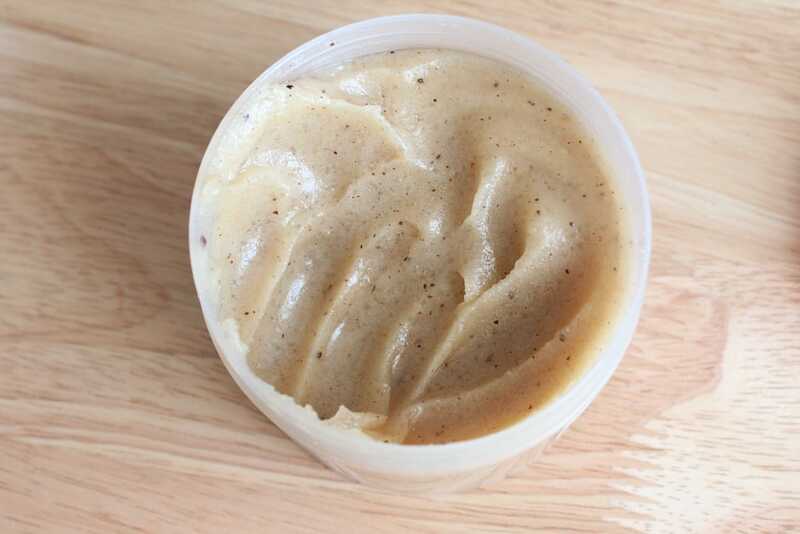 The scrub itself contains sugar scrub particles and gentle oatmeal grains, all of which are pretty fine and I don’t find it abrasive to use. It really buffs away the dead skin to reveal smoother and brighter skin underneath which makes you feel that extra bit more squeaky clean afterwards. I follow up with a nice body butter and the product just glides onto the skin, locking in all the moisture and keeping skin looking plump. 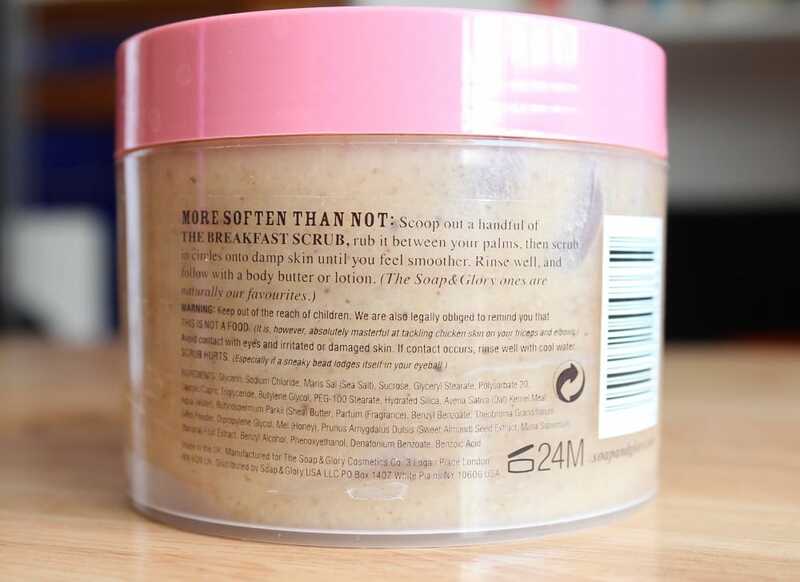 Having now used the Breakfast Scrub I’m going to find it hard to ever go back to Flake Away because even though it also smelt good, it ain’t got nothing on the Breakfast Scrub! The Soap and Glory Breakfast Scrub costs £8 for 300ml and a jar that size can easily last you a few months on the basis that you scrub at least once a week. The scrub as well as other Soap and Glory products tend to be on offer a lot so if you see it in Boots I’d make the most of the deal! What’s your current favourite body scrub?